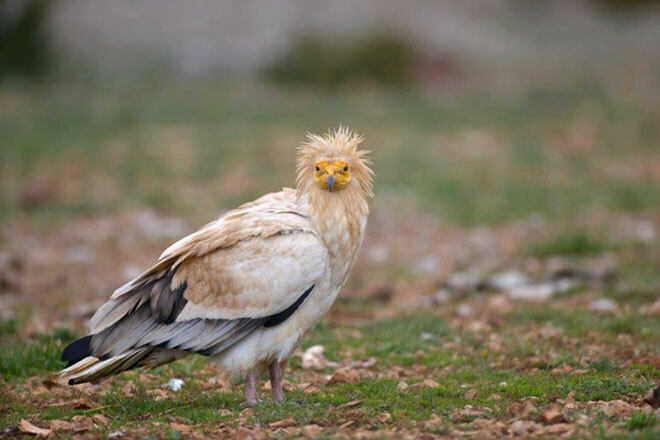 Details about the distribution and population size of the Egyptian vulture in Armenia have recently been published in the Atlas on Breeding Birds of Armenia, a project led by Armenian NGO Armenian Bird Census TSE. 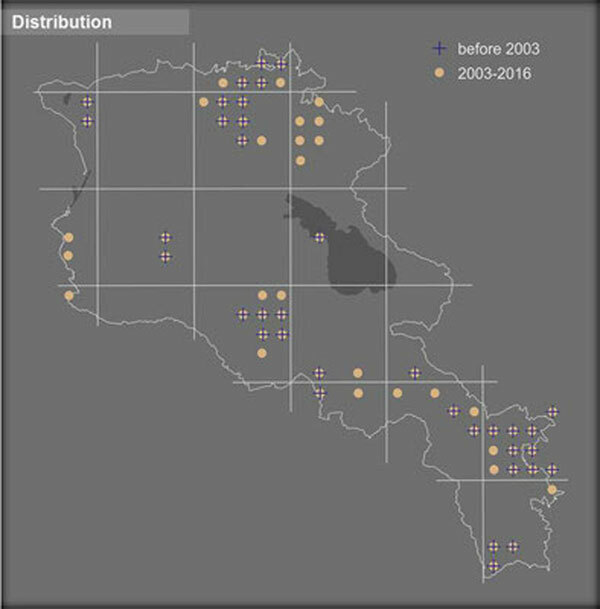 According to the last estimation, there are 52 to 56 breeding pairs in Armenia, with a suggested minor declining trend. In the period 2003-2004 the breeding success of some closely monitored nests reached 0.91. Some breeding sites are included in protected areas such as: Khosrov Nature Reserve, Zangezur Biosphere Complex, Dilijan, Lake Sevan, and Lake Arpi National Parks, Gnishik Community-managed Protected Area, while most of the other breeding sites are included in the Emerald Network, protected under Bern Convention (2016). Identified threats for the breeding population relate to direct persecution for trophy or stealing nestlings and trapping adults for domestic trade (to keep as pets). Lack of education and public awareness causes anecdotal evidences of capturing the birds for falconry trade. Another threat comes from poisoning by lead, mercury, and other heavy metals at municipal dumps. The species is included in the Red Book of Animals of Armenia (2010) as Endangered EN. Armenia was one of the countries present in the 12th Conference of Parties of the Convention for Migratory Species (CMS) in Manila, where the vulture Multi-species Action Plan – a strategic blueprint for the conservation of 15 species of wold worlds in Eurasia and Africa, co-coordinated by the VCF- was unanimously endorsed by all signatories. The Vulture Conservation Foundation is engaging with the Armenian government and conservation NGOs in the country towards an adequate implementation of the Vulture conservation actions identified.